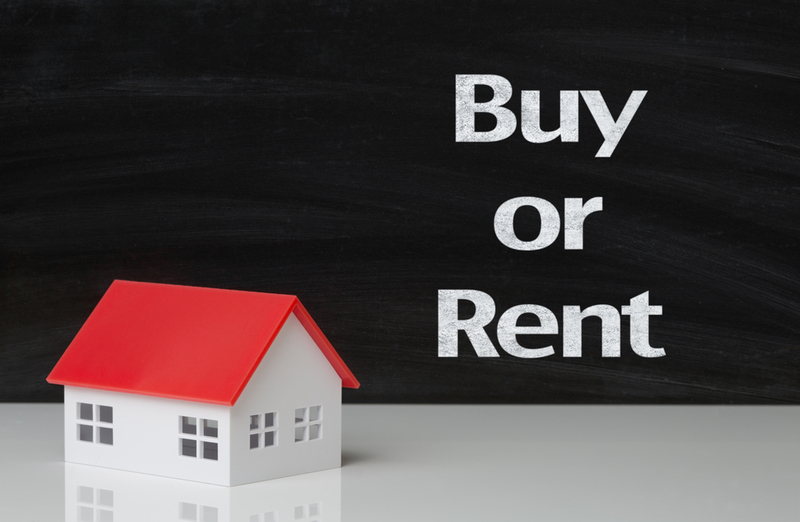 Edgewood Properties Blog: Buying Or Renting: Which Is Best For You? Are you facing this million-dollar question: should I buy or rent my next place? If so, you're not alone because this question is commonly up for discussion among millions of people looking to move. Both buying and renting have unique advantages but it really boils down to a few things, including where you see yourself in a few years. Let’s discuss some of the benefits of buying and renting so you can get an idea of what you'd like to do. Buying a home is generally considered a long-term investment because you will build up equity in your home that you can use in the future if you decide to sell. But, in order to buy a home, you must first secure home financing and save up for a down payment that is typically 20% of the selling price. While down payments can be quite costly up front, you do get to take advantage of some tax incentives like mortgage interest, interest on home-improvement loans and property taxes. The IRS allows you to deduct your mortgage interest when it comes time to complete your taxes and all of that interest is deductible unless your home loan is more than $1 million. If that's the case, the IRS will limit your deductible interest, but you still get to take advantage of a tax break. At the same time, the IRS will also consider the interest on home-improvement loans fully deductible, up to $100,000. Additionally, property taxes are deductible on your federal taxes, but you'll need to do an itemized deduction during tax season. While there are a few other tax incentives when it comes to buying a home, it is a situation to carefully consider when hunting for your next place to live. Homeowners have the opportunity to make adjustments, repairs and improvements as they see fit and will cover the expenses out of their own pockets. On top of that, most homeowners plan to live in their homes for a number of years because their mortgages may have 15-, 20- or 30-year terms. If they choose to move at some point, homeowners can sell their home by listing it on the real estate market. Renting townhomes, houses, apartments or new condos in NJ is little different than buying. Renters are unable to take advantage of some of the tax incentives associated with buying homes; however, they do have other desirable attributes to consider. First, renters typically avoid large down payments when moving into a new residence because they are not financing the home. While they may be required to put down a deposit, it's generally much less up front and they can get it back at the end of their lease if everything is in good condition. Speaking of leases, most lease agreements span a 12-month time frame, which means a renter must resign a lease if they want to continue living in the space for another term. 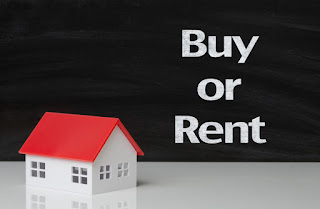 This is where buying and renting are different, because a homeowner doesn't have to wait out or extend 'lease' terms, while a renter must make the decision of staying or finding a another place to live. But at the same time, it's easier for a renter to move from place to place because they aren't tied down to selling a home and can essentially pack up to leave. Another thing to consider when renting is that most repairs and maintenance are included in the rent you pay each month. If something breaks or the roof leaks, the property manager is responsible for the bill. However, on the down side, a renter can't alter floorplans or take on extensive improvement projects (add an addition, upgrade kitchen countertops, etc.). While they may be able to paint the walls for a more personal touch, much of the home’s existing features and amenities cannot be changed by renters. Choosing to buy or rent can be challenging, but the above information can help you make your decision. If you prefer to have complete control over future renovations or improvements, you might want to buy and take advantage of tax incentives. If you would rather have maintenance-free living, you might want to rent. Take time to weigh your options and you will find your perfect solution! A lot of people are missing one point. High rise building (condos) can be rented out by individual owners! So the comparison should be between what renters are looking for high rise vs. single family townhouse living not what is negotiable. Before one has to write my essay today agreement, that person should familiarize herself with the conditions very well.